Salmon and cucumber is a sophisticated yet simple blend of ingredients that will impress family and friends. 1. Preheat the oven to 170°C/325°F/Gas 3. Place the salmon steaks on a large piece of lightly buttered foil on a baking sheet. Season lightly and sprinkle with lemon juice. 3. Meanwhile, dice the cucumber finely. Melt the butter in a pan and sauté the cucumber for about 2 minutes until translucent. 4. Add the wine to the pan, bring to the boil and simmer for about ten minutes until all the liquid has evaporated. 5. Remove from the heat. Stir in the crème fraiche and dill and check the seasoning. 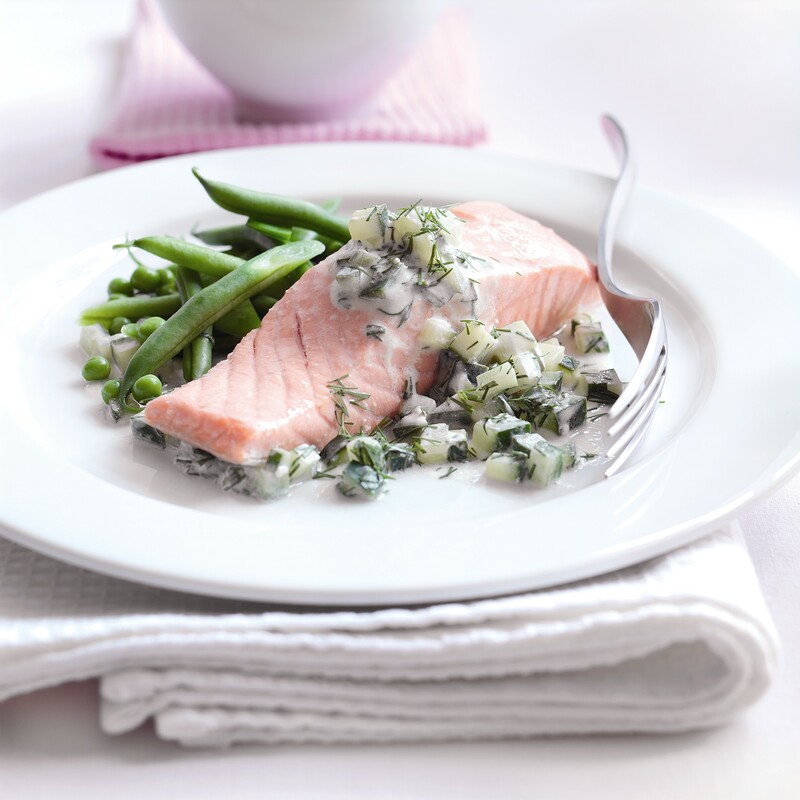 Serve immediately with the warm fish accompanied by a creamy potato and chive mash and fresh green beans and peas.